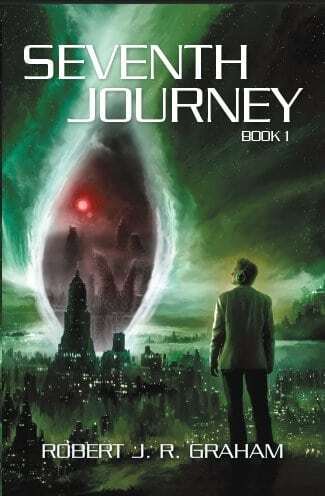 The official manuscript has been approved, along with the covers, meaning Seventh Journey book 1 will soon be on the market. Initially it will be available directly through my publisher iUniverse. From there the other distribution channels will begin to pick it up, such as Amazon.com, BN.com, chapters.indigo.ca, and other large retailers across the U.S. and Canada. Ebooks will be available via Kobo, Kindle, and iPad. A book signing event will be held at a Chapters Indigo location in the coming months. Any future signing or interview events will be posted on RobertJRGraham.com. Please find the latest news via my twitter account! The first instalment of my series introduces you to Jacob Cross, a staff scientist working for Netex Corporation. Netex is an advanced research firm with more than one secret agenda, and has developed a mind-altering headset technology which now poses a threat to all of humanity. The headset uses a mysterious sound wave called “Auditum” that can control the brain and even hurls users into a different dimension. Jacob has been deeply involved in developing this new headset and was lead to believe the technology would serve various medical applications. Now terrified that his invention will be used to enslave millions, Jacob sends himself through the dimensional portal. There, Jacob falls in love with the powerful yet ghostly Tamara, who warns him that the fate of both their worlds are now linked by a shared peril. Tamara’s world has fallen prey to a monstrous adversary who now threatens to destroy Jacob’s world as well. Jacob awakens, only to find his real life turned upside down as he is caught in a murderous plot created by the CEO of Netex. His loyalties are quickly torn between the two linked dimensions, causing Jacob to question his own sanity and even his ability to know what is real—and what is not.